Plug-in hybrid electric vehicles are true all-rounders. For a few kilometers to work every day or for a long holiday trip – the right driveline technology is always on board. Here are the six most common prejudices and what experts think about them. Christine Kordt All aspects of mobility have been at the heart of this journalist from Cologne for over 20 years. Outside of work, her favorite way to explore the landscape around her is on foot. For many of us, our daily ritual is the same: The alarm clock rings, we grab a quick breakfast and then hurry off to work. And for most of us, this route is not a long one. Three out of four German commuters at most drive 24 kilometers to work. The car then sits there and waits until it is time to go home in the evening and park again. Longer distances are only required occasionally, for example traveling on holiday by car or visiting relatives. "Scenarios like these play to the strengths of plug-in hybrid electric vehicles. Regular downtimes allow the batteries time to recharge for short distances, whilst the combustion engine serves as the drive over long distances," says Torsten Gollewski, head of Advanced Engineering at ZF. The situation in the USA is quite similar. According to a survey by the American Automobile Association (AAA), the average mileage per day is around 31 miles. Nevertheless, vehicles with electric drives have a tough time on the market, regardless of whether they are all-electric or hybrid electric vehicles. The main points of criticism: They are too expensive and there are not enough charging columns. Surveys from various countries underscore that most cars are only used for short distance drives in everyday life – something that plug-in hybrids can do purely electrically. 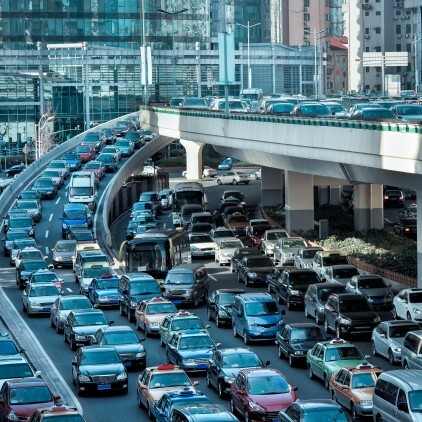 To reduce CO₂ emissions caused by road traffic, there is no getting around the decarbonization of traffic. "Plug-in hybrid electric vehicles smooth the way to renouncing fossil fuels. They can use the existing energy distribution infrastructure. When they use power from renewable energy sources and biofuels, plug-in hybrid electric vehicles even turn into zero-CO₂-emission vehicles," says Dr. Andrew Alfonso Frank. The professor emeritus at the University of California in Davis also has a background in business and therefore knows its practical side. Frank, an internationally renowned expert for drivelines, is counted as the inventor of the modern plug-in hybrid electric principle and holds over 30 patents. less fuel consumption at the maximum, resulting in up to 75 percent less exhaust gas emissions during the WLTP cycle, can be achieved by the new PHEV generation (calculated under conservative assumptions of 60 kilometers electrical range – depending on battery size). One thing is certain, the switch from combustion engines to electric motors is not going to happen overnight. Especially vehicles with plug-in hybrid electric drives are a logical step on the way to more climate-friendly traffic. Compared to conventional vehicles, they save fuel and reduce carbon dioxide and nitrogen oxide emissions. The electric motor in a plug-in hybrid electric vehicle allows its owner to drive with zero emissions locally, which is becoming more and more important in the light of increasing driving bans in city centers. Another benefit of plug-in hybrid electric vehicles, PHEV for short, is also often underestimated: "PHEVs can contribute to propagating electromobility as they differ from purely battery-driven vehicles in that they don't have the principal problem of a limited range," according to a current study by the Fraunhofer Institute for Systems and Innovation Research (ISI). The technical highlight: The rechargeable batteries not only refill during recuperation, they also can simply be plugged into the external mains supply and charge within a few hours, depending on the size of the battery. Despite the apparent benefits, people still express concerns. Like pure battery-electric vehicles, plug-in hybrids can be recharged from the grid – and, according to Fraunhofer Institute for Systems and Innovation Research (ISI), they accelerate the spreading of electromobility. 1. Plug-in hybrid electric vehicles are a sham and are not good for the environment, especially compared to battery electric vehicles (BEVs). In accordance with environmental protection, the first priority is reducing absolute CO₂ emissions in real operation. Driveline expert Professor Frank is convinced that plug-in hybrid electric vehicles will even replace more fossil fuels in the short run that BEVs. In addition, currently BEVs are often only used as second cars for short distances. Due to their range, their owners usually have an additional car with a combustion engine. Currently, we cannot predict when there will be spacious and family-friendly BEVs that are suitable to take the place as the only family car needed in this situation. Here, PHEVs are the best solution with regard to the largest possible reduction of absolute CO₂ emissions. "With a mid-sized plug-in hybrid electric vehicle, a family can go on holiday and at the same time is ready for the stricter requirements that apply in environmental zones in city centers," explains Gollewski. 2. The average consumption of plug-in hybrid electric vehicles is calculated too positively, as most drivers hardly use their car electrically. Fuel consumption and emissions obviously depend on how PHEV owners use their vehicles. Depending on distances and driving behaviors, PHEVs can drive electrically all year round; this is just a question of habit. Studies such as the one by the Fraunhofer ISI prove that electric use increases along with the electric range. As the range will increase in the near future, PHEVs will also increasingly contribute to CO₂ reduction. 3. CO₂ is only reduced if customers charge their PHEV using electric outlets. Even if we assume the worst and say that the vehicle is never charged, it will still reduce around 24 percent of CO₂ compared to a conventional vehicle with a combustion engine. This finding was the result of a simulation by the FEV Group, one of the largest international providers of engineering and development services for automotive driveline technology based in Aachen, Germany. Several factors support this. The combination of a strong electric drive and a high-capacity battery enable excellent brake energy regeneration. With this self-generated energy, drivers can cover long phases electrically. In addition, the electric drive support is such that the combustion engine often only runs at its most efficient operating points. 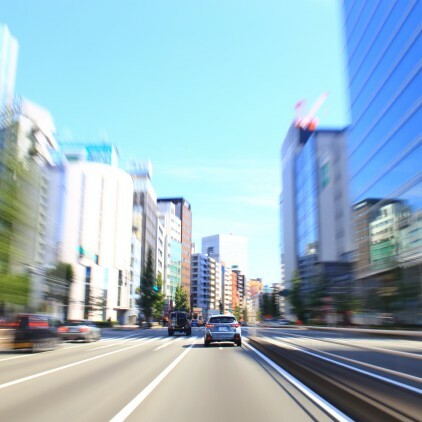 A study by full hybrid pioneer Toyota even shows that hybrid electric vehicles without an external charging function run all-electrically almost 80 percent of the time in cities. 4. At the end of the day, when plug-in hybrid electric vehicles are allowed to drive in city centers, they'll just switch back to using combustion engines. It is true that PHEVs can drive electrically or with a combustion engine. In order for the air in our cities to become cleaner, we need controls or, better yet, incentives to ensure electric driving. 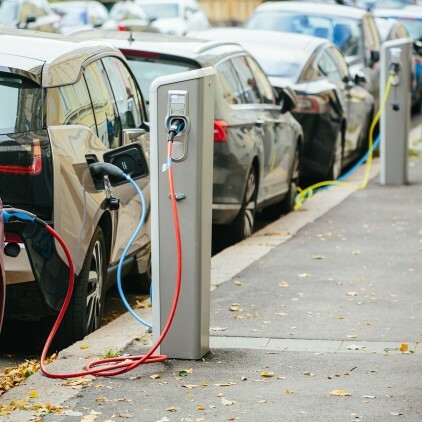 Thermal imaging cameras and geofencing solutions are tools to control this: Cars transmit information on whether they are using the combustion engine or the electric drive to the municipal data network. Failure to do so can result in fines. PHEVs could also select their driving mode themselves, in an automated process based on geofencing data and the battery status. The technology to do this is already available. Modern navigation systems can support this by calculating when the vehicle will reach an environmental zone and thus will require the according battery capacity to drive electrically from there. 5. It doesn't make sense to develop two different technologies at the same time, the BEV and the PHEV. Both systems benefit from the fact that battery and charging systems are continuously further developed technologically. With the increasing storage capacity, costs are reduced over time. Moreover, plug-in hybrid electric vehicles and electric vehicles share existing charging columns. This demand increases the pressure to rapidly expand the charging infrastructure. At the same time, this means that the combustion engines in the PHEVs can definitely become more efficient. 6. Before long, everyone in China will only be driving battery-electric vehicles. Due to national regulations, China is counted as the world's leading market for BEVs and for plug-in hybrid electric vehicles, as well. From 2019 onwards, automotive manufacturers have to fulfill a quota of ten percent for New Energy Vehicles (NEV quota) for all new registrations. From 2020 onwards, this quota will be twelve percent. New Energy Vehicles include both all-electric vehicles and plug-in hybrid electric vehicles, as long as they can cover a range of at least 50 kilometers all-electrically. Especially in aspiring industrial nations, the demand for individual mobility is increasing rapidly. Without a doubt, private transport based on drives that rely entirely on combustion engines strongly impact the climate and the environment. Legislators worldwide are tightening the critical values for fleet consumption and emissions. Alternative drive concepts to the combustion engine are in demand like never before. "The mobility of the future will not have just the one drive solution. The requirements and desires of customers and markets are too diverse for that. A discussion that is open to technologies needs to consider every alternative drive technology, type of fuel and especially the scope of the hybrid drives," says Stephan von Schuckmann, head of the Car Powertrain Technology Division at ZF. The air quality in large cities like Shanghai suffers under the high traffic density. From 2019, car manufacturers in China will therefore be obliged to comply with a quota of ten percent for New Energy Vehicles (NEV). In Brief: Most people don't cover long distances with their cars in their daily life. Even in the USA, an automotive stronghold, the average mileage per day is only around 50 kilometers. And yet, battery-electric vehicles have a tough time on the market. This is caused by high purchase prices, a wide-meshed charging net and limitations in reach, to name a few. Until solutions have been found for these weaknesses, the plug-in hybrid electric vehicle (PHEV) can immediately ensure low-emission mobility. Charged with sustainably generated power from electrical outlets, PHEVs drive with zero emissions, primarily in cities strongly impacted by exhaust gasses. Over long distances, the combustion engine optimizes fuel consumption while providing sufficient range. Mankind needs to reduce CO₂ emissions – including in mobility. Six examples of how technology by ZF can reduce emissions.